We at Lightsey Cycles are ready to get you going. 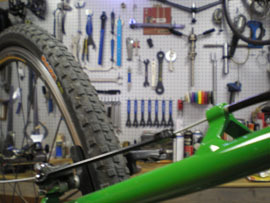 Come and bring your bike in for any kind of repair. We also sell parts so that you can fix it yourself. Kirk is certified bike mechanic from UBI- United Bike Institute out in Ashland, Oregon. 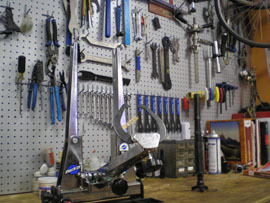 Get your bicycle in for a tune up where we can assure you that everything is in working order and that your wheels have the right amount of pressure. Maybe you are ready for an upgrade in your handle bar tape or are ready to make a statement with new knobby tires in an array of different colors and patterns. 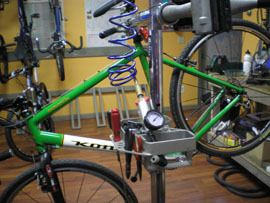 We offer you the choices to create and customize your bicycle to express the inner you! 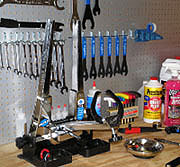 Get your repairs close to home with our shop in the Hudson Valley, NY.